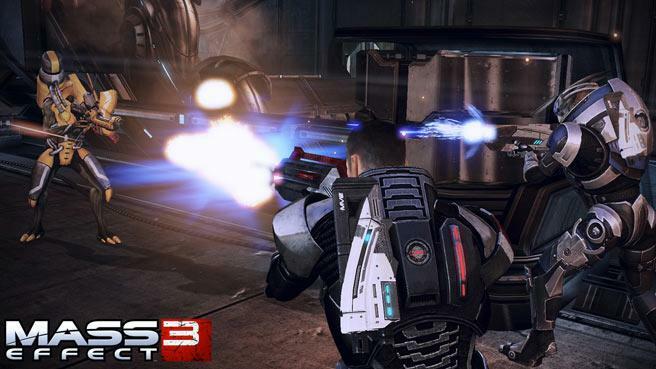 Mass Effect 3 is a 3rd person shooter and is in the same style as the previous two Mass Effect games. Once again BioWare puts together a flawless master piece to finish off the third and final game in the Mass Effect Trilogy. This is how a video game trilogy should play out. Each game getting better and better, each game adding something new to the gameplay and each game has more content, replay ability and a stronger storyline than earlier games. The Reapers are here! The game starts out with the invasion of Earth. Now Sheppard must unite the planets of the Galaxy at all cost or no one will survive. The Krogan, Turians and Salarians must put their arguments aside and stand together and something needs to be done about the Genophage. The Quarians and the Geth must stop threatening to destroy each other and find a way to help Sheppard. The Asari must share what they know and stop holding out on the rest of the Galaxy. Oh, what is Cerberus up to, and did we mention that the Reapers are already here! The game looks better than the first two and any of the squared members from the first two games that survive show up in Mass Effect 3. The game is a lot more challenging even on the easiest setting. During combat the squad member AI are always doing the right thing to help, which is good because the new bad guys are not easy. Some of the new enemies are mutated members of galaxy races and are hard to put down, mainly the Asari. The biggest change is that you can’t just freely explore like in the first two games. The Reapers are everywhere, you need to scan galaxies for things to help in the war effort but scanning attracts the Reapers. If you keep scanning eventually they will find the Normandy and have to leave the sector and can’t return until you complete a mission. It works well and you can out run the Reapers for a while but not for long. The second major change is that there are no little puzzles to open safes and hack into data pads. You find one you open it, it's that simple. Just an exceptional final game. 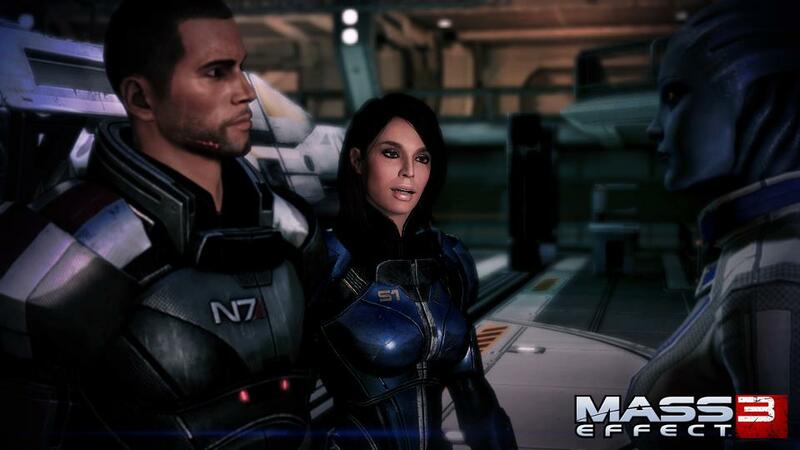 We have played the game starting with the first Mass Effect several times and still want to replay it over and over. It took us around 40 hours to get through Mass Effect 3 but this is doing as all of the extra stuff. The more side mission and areas explored the more help Sheppard will get to fight the Reapers. This game is easily worth the money even at $60 and we look forward to other games from Bio Ware. 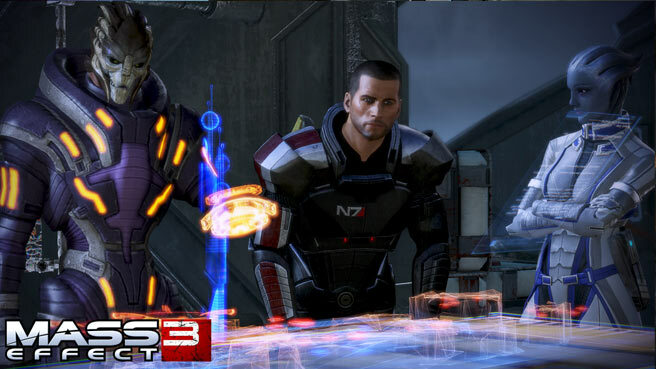 Buy Mass Effect 3!